Kochetkova and Karapetyan in "Romeo and Juliet." Photo by Erik Tomasson, Courtesy San Francisco Ballet. Tragedy, romance and world class dancing, all from the comfort of your local movie theater? Sounds like your weekend plans are complete. On May 12, 13, and 15, San Francisco Ballet's Romeo & Juliet will be playing in select movie theaters around the country as part of Lincoln Center at the Movies: Great American Dance. Choreographed by SFB artistic director Helgi Tomasson, this version stars Maria Kochetkova and Davit Karapetyan in the title roles, making it particularly special: Karapetyan retired from SFB in 2017, and Kochetkova gave her final performance with the company just last week. Click here to find a showing near you. From left: Peter Walker, Harrison Coll. Photos by Paul Kolnik, Courtesy NYCB. 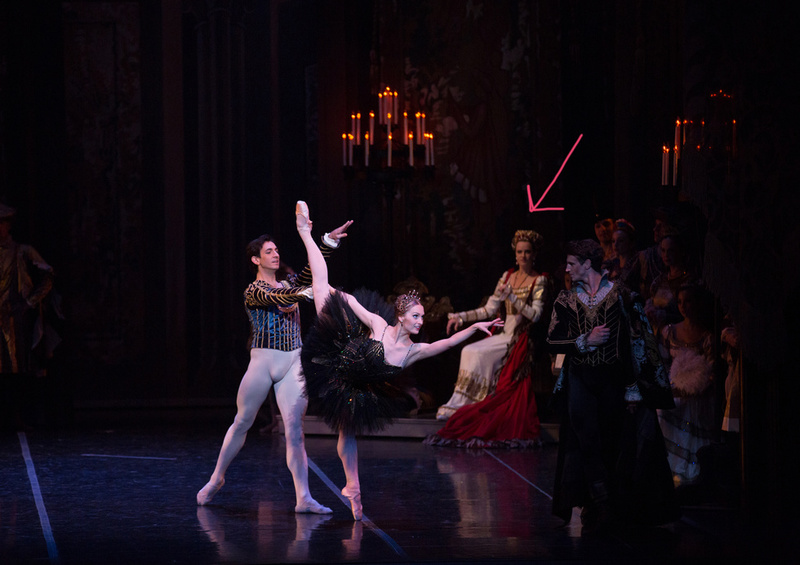 A company's corps de ballet is rarely the pool from which title roles are plucked. Yet New York City Ballet seems to buck convention, especially for its full-length production of Peter Martins' Romeo + Juliet. When it debuted back in 2007, the ballet featured a cast of untested corps members and apprentices as the eponymous stars. (A School of American Ballet student was originally tapped to dance Juliet, but she wasn't able to perform due to injury.) At the time Martins, who recently retired as NYCB's ballet master in chief, attributed his casting choices to the characters' ages in Shakespeare's play; Juliet and Romeo are 14 and 19, respectively. Also, he remarked, "Never underestimate youth." This week, two young Romeos are stepping up from the company's corps. Harrison Coll made his debut on February 13, opening night, alongside principal Sterling Hyltin (the original Juliet in the production's opening night performance back in 2007). Peter Walker follows on Friday, February 16. Karina González in "Romeo and Juliet" choreographed by Stanton Welch. Photo by Amitava Sarkar, Courtesy of Houston Ballet. Juliet is one of my favorite roles—you go through every emotion in just three acts. I had done different versions of the ballet before, but it was an amazing opportunity when my director Stanton Welch created the role for me. I watched a lot of videos to prepare and struggled at the beginning because I was trying to copy what other ballerinas had done. It took me a while to find my own way. But now, every step comes from deep inside. I love that Juliet starts as an innocent little girl, playing with the nurse like she's her best friend. When she goes to the ball, she sees this person that moves her world around. I'm married now, and know what it means to give everything to someone and make decisions that will change your life. And because of the love you have for that person, it is worth it. Final stage rehearsals before opening night. What does it take to bring a major production on tour? In July, Houston Ballet mounted a 12-show run of artistic director Stanton Welch's Romeo and Juliet in Melbourne, Australia. The tour was the company's Australian debut, and a homecoming for Welch, who is from there. The ballet premiered in Houston the previous year, and while it was well received, it was untested by time and tradition. “We had only performed it 9 or 10 times before," says Welch. Touring a full-length production halfway around the world is a bit of a “beast," says Welch, involving serious logistical planning. Flights were booked the previous September, while set pieces, costumes and theater cases were shipped—by boat—two months before the opening. (The elaborate sets, designed by Roberta Guidi di Bagno, include 10 onstage towers.) 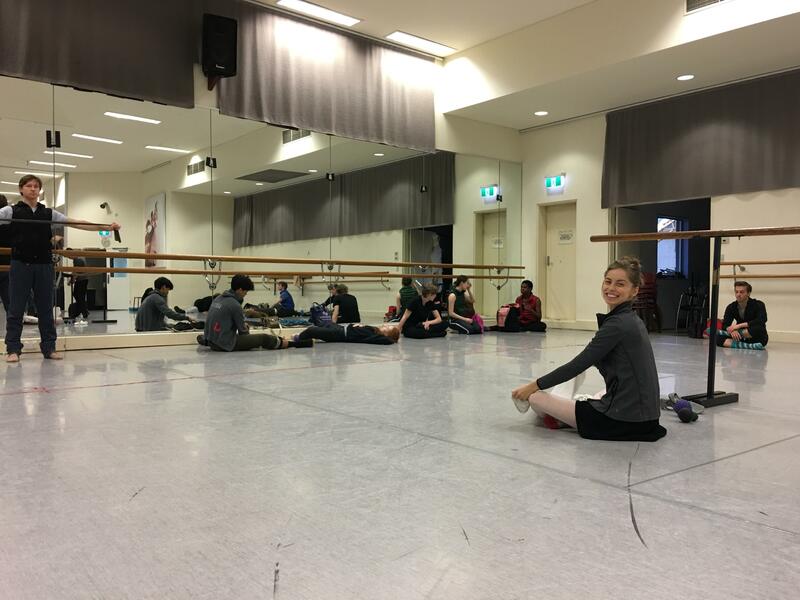 Ballet master Steven Woodgate traveled to Melbourne several weeks in advance to rehearse the cast of children from The Australian Ballet School. In addition to 64 dancers, Houston Ballet brought all of its own staff and crew—a total of 91 people! Dancing Romeo and Juliet is surely a life-changing experience for any performer. But dancing it with your offstage partner? That's next-level romance (and intensity). 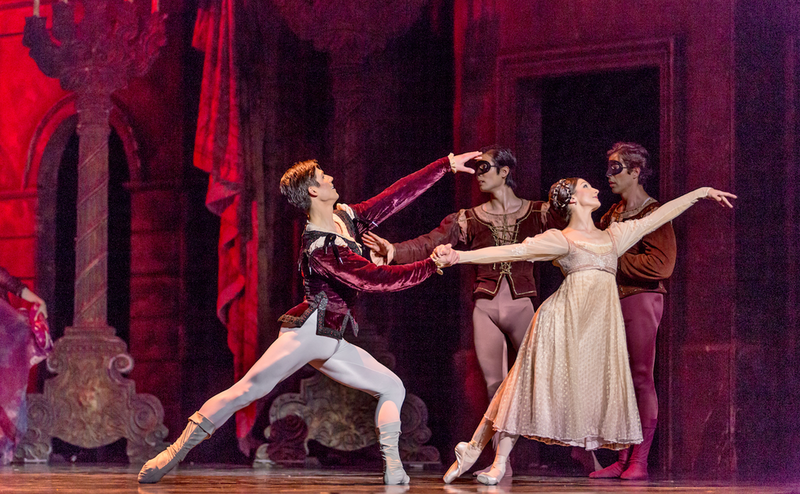 Along with several pairs of their colleagues, leading Joffrey Ballet dancers Jeraldine Mendoza and Dylan Gutierrez will perform the title roles in Krzysztof Pastor’s version of Romeo and Juliet, which opens on Thursday. The two seem to transition seamlessly from their ultra-hip offstage life to a supportive working relationship in the studio. You wouldn't expect the two to be partnered together—he's tall and she's petite—but when Gutierrez wraps his arm around her waist (at 1:06 in the video below) to pull her along the bench they're sitting on, you can tell from the way they look at each other that their real-life romance makes this a perfect pairing. Watch Mendoza and Gutierrez, along with the rest of the leads, in the video below! 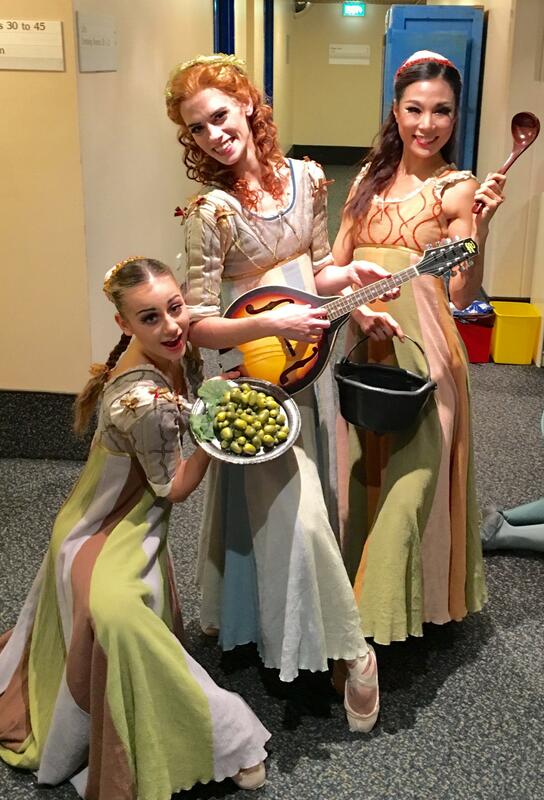 Houston Ballet Down Under #6: My Big Debut! From June 24–July 10, Houston Ballet is embarking on its biggest tour yet to Melbourne, Australia, hometown of artistic director Stanton Welch. Pointe asked demi-soloist Jacquelyn Long to keep a diary of her experiences. We are nearing the end of our tour and I think everyone is trying to rally as we approach show number 10. We've had a long week with performances every day, including some double show days. I got to debut the part of Miranda this week! It was a lot of fun. She is quite a sassy character! It's difficult though—there is intense acting, fouettés and lots of jumping. It was rewarding to emote onstage and get lost in a character. Something fun about that role is she has to wear a red wig! I took a little time lapsed video to show you guys what wig prep in the ballet world looks like. We took class in the Australian Ballet studios yesterday, which was very nice. We've been using the rehearsal room at the theater, which is pretty small in comparison to their studios and what we are used to back in Houston. We had another guest teacher this week as well, Australian Ballet artistic associate and principal coach Fiona Tonkin. I think everyone enjoyed her class. There was also a class onstage with an audience, which our ballet master Steven Woodgate taught. He had a microphone so that the people could hear him correct and teach. He used to dance with the Aussie Ballet and was always a part of these demonstrations when he was with the company. I think it was neat for him to do it again. 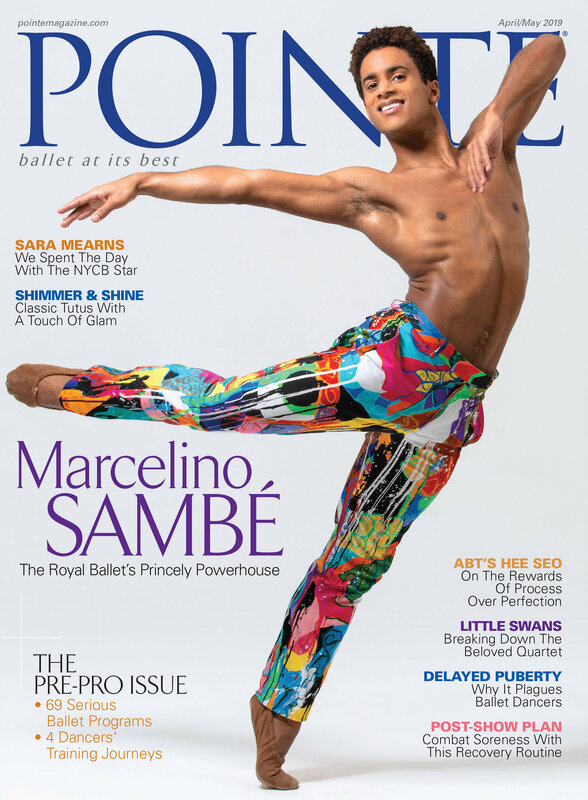 More more news on all things ballet, don't miss a single issue.